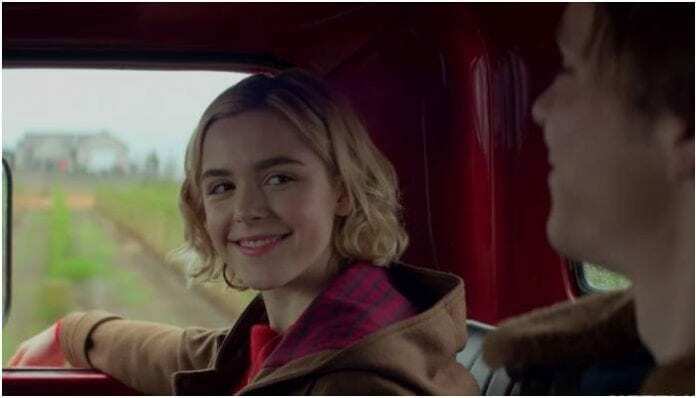 It’s been less than a month since The Chilling Adventures Of Sabrina hit Netflix. However, we’re sure at this point you’ve already binged away all 10 episodes of Season 1 and are itching for more. Well, you’re in luck. Netflix hasn’t released a trailer yet, but showrunner Roberto Aguirre-Sacasa shared a cute holiday card with all of our favorites on Twitter. The show’s official account also shared a holiday-centric image of Salem with plenty of puns. From “feline the holiday cheer” to “may your days be meowy and bright,” they’re going all in. Chilling Adventures Of Sabrina: A Midwinter’s Tale hits the streaming service Dec. 14. Sabrina has been making headlines over the past few weeks thanks to the statue on display in the Academy Of Unseen Arts. Last week, the Satanic Temple officially filed suit for supposedly appropriating and stealing the design of their Baphomet statue. The Satanic Temple is suing Netflix for $50 million under copyright infringement.